Smoke over New Norfolk at 3.30pm. There are bushfires at several locations across Tasmania. There is no threat to communities. 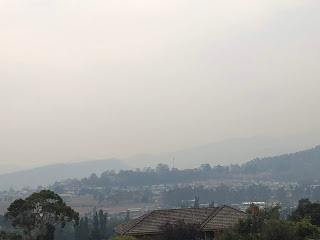 There is extensive smoke and ash from these fires visible around Upper Derwent Valley and Midlands areas.